According to a new report North America Freight Management System Market, published by KBV research, the North America Freight Management System Market Size would witness market growth of 11.2% CAGR during the forecast period (2018-2024). The US market dominated the North America Freight Management System Solution Market by Country in 2017. The Canada market is expected to witness a CAGR of 12.9% during (2018-2024). Additionally, The Mexico market is expected to witness a CAGR of 11.9% during (2018 - 2024). 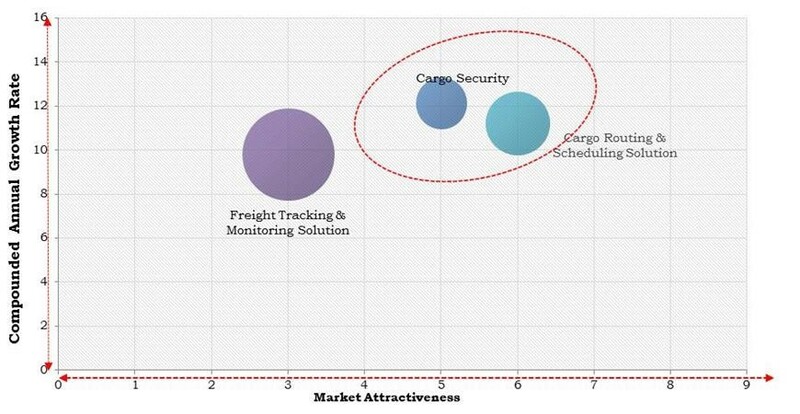 The Control & Monitoring market dominated the Canada Freight Management System Market by Solution Type in 2017, thereby, achieving a market value of $355.1 million by 2024. The Planning market is expected to witness a CAGR of 14% during (2018-2024). Additionally, The Execution & Operations market is expected to witness a CAGR of 13.3% during (2018-2024). The market research report has exhaustive quantitative insights providing a clear picture of the market potential in various segments across the countries in the region. The key impacting factors of the North America Freight Management System Market have been discussed in the report with the competition analysis and elaborated company profiles of Oracle Corporation, SAP SE, Accenture PLC, Werner Enterprises, Inc., JDA Software Group, Inc., MercuryGate International, Riege Software, BluJay Solutions, McLeod Software Corporation, Inc. and C.H. Robinson.